Gigabit Cities, Towns & Regions. Picture a youngster in the future, stooped over a laptop in the back room of a disused shop in a long forgotten country town. Coffee cups, half eaten pastries and the faint smell of last night’s alcohol fills the air. A sad dystopian image so far, but look a little closer. He’s but one of a dozen people sitting or standing around various bits of old and new furniture. The walls are covered in ultra thin screens, windows into other teams in other parts of the world; China, the US, Norway & Brazil. They’re all working together on something or other, something global, something significantly big. Many languages are being spoken and simultaneously translated in real time. Videos make up part of presentations, audio is being composed to fit, financial documents embedded in the project. All happening seamlessly, no delays, no pixelation, no distortion no waiting for files to transfer. The sound quality is perfect, the discussion is natural, this is the future of work. And it is entirely built around ultra fast gigabit networks. All this should not entirely be unexpected, the internet after all has been growing in usage, speed and capacity at an astonishing rate since it became widely commercially available in the early 1990s. The internet is the backbone of all mobile phone usage, all fixed line usage, increasingly most of radio, TV and movie transmission. Almost all of the worlds financial transactions now occur over the internet and a large part of humanity use it for most of their social and professional communications. Profession after profession is being disrupted and reconstructed in ways that few had seen coming. From education to medicine to shopping and defence, indeed government and governing is slowly being changed by the power of the ubiquitous and always connected world. It is an unstoppable force, fuelled by our collective desire to re-imagine the future in a massively online world. A true wave of change is upon us. Some will ride this powerful wave, others may resist it, others may simply be submerged by it. It is in this backdrop that a future certainty can be brought into focus. Many opportunities for growth will no doubt be there for those that connect, collaborate and adapt. One thing is certain though, the faster, more scalable and more reliable our networks are the more opportunities for growth there will be. Gigabit networks will release and liberate wealth, health and wellbeing wherever they are found. In other words the prosperous places of the future will be gigabit enabled cities, towns, regions and nations. It really is that simple and it has started happening now. Video is a Mashup from the Google Fibre project. Like a rising digital tide of change we wonder why? We all know the digital evolution of business and social life is upon us, lapping at our feet. The incredible changes are now too numerous to mention without sounding like platitudes. Though last month's announcements by Apple of their Apple watch device and platform beg the question: How did we get to this 'hyper-evolution' in the digital space? It's not yet a commonly held view, though I believe the digital society started hundreds of years ago. At least with the first printing press and by extension a few thousand years before that in our social desire to trade things; a trade in ideas, goods and services. For example it is relatively straight forward to argue that the great library of Alexandria in Egypt 2300 years ago functioned the same way as today's giant server parks that host millions of databases and websites. Access back then was for the privileged few who had the right credentials, could travel, read and make sense of the scrolls. Access today is via an internet link at home, at work or at school via a revolutionary interface tool called the world wide web. The hunger for knowledge has always been there, in hearts and minds of children, women and men. The difference now is, most people can read, most of us now have access to knowledge and most of us don't need to physically travel to get it. Indeed most of us don't need to ask permission from anyone to access it. Together these factors create perfect conditions for people to quench their thirst for knowledge. A thirst that has been with us for millennia. Today what we experience as digital hyper-evolution is simply an acceleration of access to knowledge. We are in other words just following our natural desire to attempt to understand the world in a hope of making our lives better. It would appear an adjustment in thinking is well over due if we are to make sense of the rising tide. A tide that is perfectly normal when seen in a historical context. What's Google My Business ? Google has launched a bold strategy to get more businesses listed online. This has got to be a good thing, right. There are many out there that really need help. Apparently more the 50% of Australian businesses don't have a website. This is a problem, a problem for everyone really, not least of all the search giant and your business. If Google listings are a problem for your business now's the time to think about this over a nice cuppa tea. Though at first sip by golly Google is burning the lips of many existing clients. A new interface, automatic upgrades and mixed messaging methods don't help. Highlighting again, how the young recruits at Google lack a little real world experience, particularly of the small business sector. Of course who could complain, these tools are 'free' after all? Free as in 'free to use', not as in "free beer". Sure it may take you a week to work out and you run the risk of really messing up your listings but stick with it and you'll succeed. (Google recruits take note: Time is the most precious resource for a small business owner - even before an important upgrade). Google asks "Playing hard to get?" - Many businesses are. Yet we think it's all worth the effort. The system amalgamation is a natural development in the constantly evolving space of cloud based tools that the big G offer. So what do you get for your effort? What you get is a simplified and streamlined dashboard for all vital business info; map location, phone numbers, domains, contact hours, services, product categories and the like. The sort of thing that should be available on your website, right? We understand that you may be too busy with clients to make this information handy online. Google have done a lot of the work for you. They've even created Android and iPhone apps to help you keep everything at your finger tips. Go check it out, you be the judge, grab a cup of tea and contemplate Google My Business, we think you'll be glad you did. Creating video in a timely and straight forward manner is still a challenge for most organisations. There are so many considerations; lighting, audio, microphones, makeup and video formats. Not to mention all the camera work and script writing. It's no wonder many professional people find it way too hard to make a serious start. That's why some of our friends we asked us to build a studio for customers and their clients. The concept we've worked up is "Walk in Walk out" - everything set up, everything ready to use; cameras, audio, lighting and props and broadcast - thanks to our incredibly fast NBN fibre networks. We've invested heavily in great networks and computers to allow you to broadcast or narrowcast your content in real time. This can be used for a lecture, a lesson or a musical performance. Importantly it can be used to help monetise your productions on a subscription or pay per view basis. 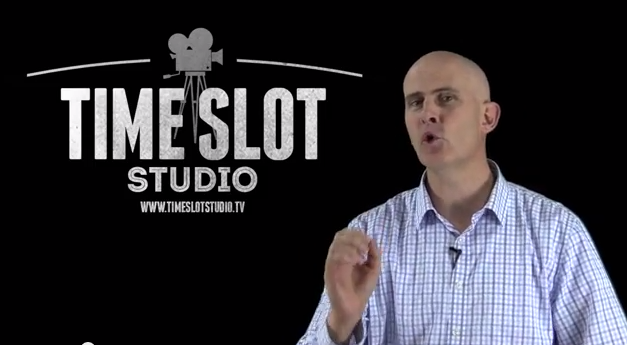 While our technical investments are up and working now, we have a vision of a greater studio. A infused with the 1960 and 1970s - the era of so much change. The era of the birth of the internet, video recording and amazing creativity. We're commencing our own crowd funding campaign to make our studio something extra special for our partners, customers and their clients. We've created a broad array of rewards for our crowd funding campaign - from full production series, exclusive T-shirts, and a special 60' / 70's themed cocktail party and much in between. Come on board - join our mission to give you to best digitally leveraged AV studio on the East Coast of Australia. Australia’s largest and most respected IT conference and expo CEBIT has morphed from a tech industry meet-up to a true digital business/economy event. This year’s CEBIT conference marked their transformation by moving west from Sydney’s Exhibition centre in Darling Harbour to Homebush the home of the successful 2000 Olympics. The move has re-energised the event, now in its 13th year. A revamped offering over 3 days was more about innovation and facilitating business than just geek tech. Travelling out to Homebush by car was an unnecessary luxury as the train ticket was included in the entry, ( a nice touch and a vote of confidence in the event from the NSW government). My fellow traveller was a prominent business publisher and he’d just taken charge of a wonderful new car from Mercedes. The car has so much technology crammed into it I quickly became his onboard technology advisor. Belkin, a Central Coast based company greeted us when entering the substantial expo hall. They were promoting their new range of Smart Home technologies; automated networking of all things electrical in the home/office. The pricing points for these once very expensive items are now incredibly digestible and worth a close look. Beyond the big company stands there was an impressive array of foreign trade stands from China, Germany, India and the UK. Though it was the crafty New Zealanders from Wellington that had the best pitch to my mind. The aspiring Tech City of Wellington had dragged over a bunch of fun business people to talk up their city and NZ as a whole. A mix of good business data, coffee, food and cheeky personalities was winning people over, me included. Wellington fell short on only one count, fibre optic broadband. Something I bragged Gosford had over them. Of course they quickly replied that they were onto it and a full fibre optic rollout to all premises was well on the way. The conference side of the event was as thorough as always, with so called Big Data, eHealth, Cloud, Mobility and Cyber Security the main lecture themes. Though Paul Budde’s bite sized info sessions proved most popular. Paul heads a Central Coast based global telecommunications consultancy Budde.com which has become a hallmark of CEBIT Australia over the last decade. His experience from around the world helps frame the Australian version of the CEBIT global franchise. Close to my heart was a fun new concept this year. As startup’s have been on everyone’s lips this year, CEBIT revamped and expanded it’s fun ‘StartUp Alley’ concept. Almost 100 startup projects were present providing the quirky energy and pizzazz that tech expos usually lack. There was a wide range of new concepts waving their idea flags in the wind, all of whom later competed at a pitch fest event. One of the winners was a mob called MathsSpace, that is evolving the teaching of complex mathematics concepts in a very cool and engaging way. Though most of all the Startup alley bought new faces to the event, many young people of course, though notable were less tech looking experienced old hands and most encouraging many more entrepreneurial women. An honorable mention to the University of Newcastle who were out in force again with their micro robotics students, a specialisation that the UoN are gaining a global reputation for. Their Nubots program was most popular with the crowd. Nubots are programmable 1 foot high robots that can do many things, among other things play football (watch out CC Mariners). 3D printing exhibitors were there in full force. This technology is evolving rapidly and is fast becoming mainstream. The sophistication of items that can be printed now is incredible; bones, complex tools and industrial spare parts among them. The price points for the machines has dropped incredibly and range from a few thousand dollars for basic machines to just $60k for incredibly sophisticated industrial units. The opportunities these technologies represent to revitalise local manufacturing should not be under-estimated. CEBIT Australia is now well underway to evolving into the “must visit” event on the Australian/Pacific digital business calendar. I was informed by an insider of the parent company in Hanover, Germany that the Australian franchise, started by Jacquie Taranto is seen as the innovation leader in it’s field. That’s saying something, as if you’ve ever had the pleasure of visiting CEBIT Europe it is a mighty tough gig to beat the Germans at their own expo game. Remember when the world wide web was an amazing opportunity for businesses to connect with customers directly. The web promised to cut out the media outlets and business directories by beating a direct path to your customers' hearts, via their wallets and credit cards. Them were heady days. Of course reality was a little more complex than the promise. The web subsequently flourished with enough text to fill a battle ship. 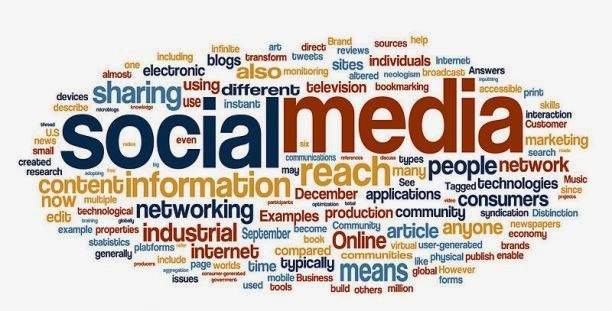 Wordsmithing become a seriously important part of creating quality online content. It still is. Today's communication world is full of online content; images, memes, audio and increasingly video footage. People are now overwhelmingly looking to video for their information, entertainment and education needs. 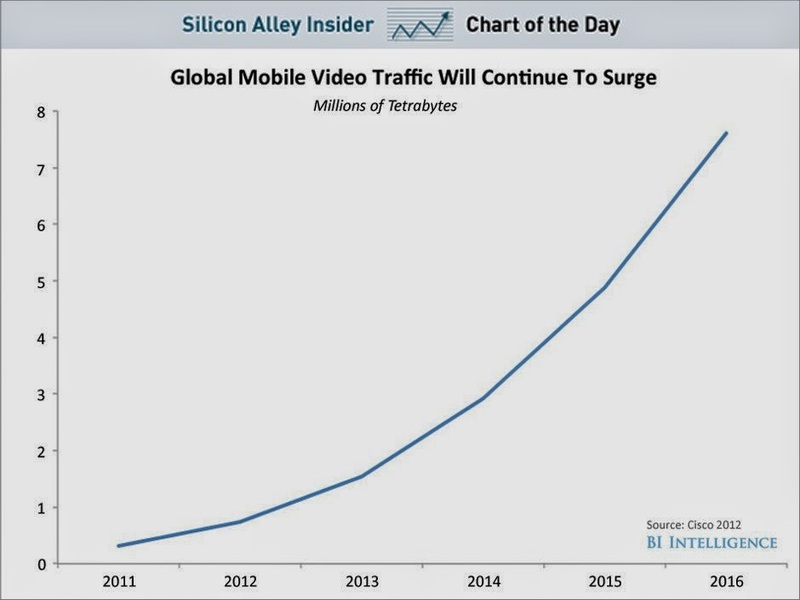 The graph below compiled by BI Intelligence illustrates the real and projected growth of mobile global video traffic. Quiet apart from the infrastructure needed to carry all this data traffic we need to be thinking of ways to quickly produce quality audio and video content that is fit for purpose. To be effective, video needs to be put in context and narrowcast to the intended audience quickly and with little fuss. Easily said, difficult to execute. The skills required to produce a quality short video are quiet different to those of creating quality written content. Quality written content has a long history, it's taught at schools all over the world in all languages. Arguably most established cultures are founded on the written word. It is the thoughtful producers that build the respect of their readers. Those wordsmiths now need to turn their insightful training to producing video if they are to maintain their relevance. Creating video will be a challenge to many. Lighting, audio and articulation skills are all part of the equation. Though more importantly the quality of the story is what will help you get noticed in an increasingly noisy media landscape. NB: Our research shows that inserting a short video into a blog such as this greatly increases the views that a blog receives. Grab your phone, make a YouTube video and give it a test yourself. Opening an online store can be a protracted nightmare. At least if the experiences of an increasing amount of novice retailers are anything to go by. Here's one example of how one woman overcame design dramas and geek speak to profit from her experience. Susan had been in retail for about a decade, founding a successful suburban store on the outskirts of Sydney, Australia. She had style and friendliness and her shop was well located with plenty of parking. Weekend trade was brisk and busy, which made Monday and Tuesday her functional weekend when she opened late and put on staff. Increasingly she picked up loyal customers who kept asking if they could shop online when new things arrived. She had some success in Facebook likes, though it stopped there. Susan was aware of the retailing trends moving online. She remembers being struck by how many billion dollars her countrymen were spending on online as a wakeup call. She had a website, yet it was little more than a brochure, map and telephone listing. Being a bit of a perfectionist she hesitated at first, knowing that to set up an online store required thoughtful planning and needed to reflect the look and feel of her physical boutique. Her perceptions were right! She had her graphic designer sketch up a fresh look, it didn't quiet fit. They tried several times and after many weeks reluctantly came up with a design based around her other favourite online stores. Weeks of phone and email battles ended in her moving the website and online store to another company that salvaged most of the previous work and simplified the billing systems. The new online company was calm and factual, always keeping her expectations reasonable and her plans on target. She reckons it's cost her 120 hours of work and about $15,000 cash, something she thinks she could almost halve a second time around. Interestingly that's about what it cost to do the first fit out of her physical store. Her online store is now a functioning and attractive system that is steadily attracting leads and sales. She writes a brief monthly newsletter, utilises Google Adwords advertising, FaceBook posts, a regular blog with Twitter and Instagram feeds. All of which keeps the social conversation going and does drive people back to her stores, both online and the beautiful shop front business. The way things are tracking it would have paid for itself in 6 months despite being a real headache. Everything is not perfect, she relies on receiving monthly reports with suggestions from her trusted online partner OI. The future does look bright however. Her store is turning into a valuable business asset with increasingly healthy cash flows attached. Susan's business nightmares are about other things now. Her online store's a pleasant dream :) zzzz. 'Susan' is a pseudonym. She's a customer of OI: organise internet - Organise Internet has been helping build profitable online businesses since 2002. OI is a certified Google Partner and a member of NORA - National Online Retail Association of Australia. OI: Organise Internet is holding an exclusive event dubbed 'New Retail - how to thrive selling online' Guest key note speaker is Paul Greenberg, co-founder of DealsDirect and Chair if NORA - supporting speaker Danis Tandiono Certified Google Adwords expert. 9am, March 3, 2014 in Gosford. A growing group of Aussie change makers and entrepreneurs are sick of Australia being known as a dirty big mine. They've sniffed the dusty air, rubbed a magic lantern and come up with another way. The Gigabit Genie has awakened! Last month the nation's new broadband company NBNCo quietly switched on fibre based gigabit services to their wholesale service providers reports ZDnet . 2014 could indeed be the start of a magical year for entrepreneurs. The wide brown land in the south has always been full of resourceful people. The original inhabitants survived and thrived in what is a land of extreme heat, cold, rain and drought. Leading them to be some of the great survivors of the planet. Today's aboriginal Australia is entering a sort of renaissance via art works, music, sport and business pursuits. To the early european settlers in the late 18th century the adaptable and flexible ways of the aboriginals was apparent in their subtle use of fire to stimulate pastures and raise game on very marginal soils. Indeed, together with innovative fishing techniques this seems to have lead to the survival of the early colony of Sydney. The convicts and settlers of the day were by definition a fleet fingered and "entrepreneurial" bunch and many quickly adopted innovative ways of surviving and later thriving in the tough countryside. Over 220 years later Australia is one of the worlds wealthier nations after overcoming the odds of climate, isolation and a burdened cultural heritage. Paradoxically, agricultural produce was the the first major export of the nation and wool was the prized commodity. Australia is said to have rode on the sheep's back for many decades and still has a sizeable part of the world fine wool market. If you wear a good suit, chances are that it's from an Aussie merino sheep. Though wool is but one export, Australia grows every crop known to civilization, from native macadamia nuts to rice, cotton and wheat. Though the nation's mineral resources were the sleeping giant, if only they could be transported. Distance was a the great challenge. Vast territory needed to be covered to get minerals to market. Yet slowly the mines, railways and the ports were built and what started out as a trickle is now a massive flow of iron ore, coal, bauxite, gold, diamonds, uranium, gas and almost every mineral know to man. While American 'black gold' seekers where striking oil, media shy Australian prospectors were busy uncovering some of the greatest mineral deposits on the planet. Now the largest mining companies in the world are Australian, or at least nominally as they are owned by many happy shareholders. The world's wealthiest woman too is an Australia heir of a flamboyant mining prospector *. Yet as is so often the case with massively profitable industries they tend to distort their host economies and to some extent the bend the politics of the nation in their favour. Resulting in an artificially high exchange rate, a skills drain from other industries and a general wage pressure. All very well if you're involved in the mining industry either as a supplier, shareholder or employee. Pretty crappy if you're not. Most of Australia is not. Many resourceful Aussies are starting to ask "surely there's another way to make a buck down under". Turns out there is. Increasingly there's evidence of a new boom tied to digital technologies thanks in no small part to an audacious plan to build a nationwide fibre optic network capable of gigabit speeds in the short term and terabit speeds in the foreseeable future. The National Broadband Network or NBN was partly an economic answer to the global economic crisis but has quickly gathered huge support as an alternative economic and entrepreneurial driver of the future. All this despite a recent change of government that threatens the extent of the project. In many ways the threat of divestment has hardened the resolve of many that will fight for the project and more importantly for the business opportunities in a digital economy quickly evolving around the globe. Interestingly the current footprint of the NBN fibre optic networks is predominantly in outer metro and regional Australia where the old copper networks were in poor condition. This is having the result of making these locations highly attractive to entrepreneurs looking to leverage the use of such amazing bandwidth for services. Australia is already a disproportionate contributor to the successful digital economy with winners like Invoice2go & Play2Lead and a proud history in the assisted development of the internet protocol TCP/IP, WiFi, Google Maps in addition to big successes in early computing history. Now the entrepreneurial zeal of previous generations coupled with emerging gigabit networks it seems the land down under may just overcome the odds and the tyranny of distance once again. These new entrepreneurs having rubbed the proverbial magic lantern of the NBN, are conjuring up a new digital boom time. Bigger, better and brighter than Aladdin's gold mine, quiet literally. NB: The author of this article is actively involved in several enterprises researching the use of gigabit networks. Planning on distributing findings, products and services as they come online. Interested in investing, researching or building a product or service? Make contact! © Copyright Organise Internet. Simple theme. Powered by Blogger.